API to Integrate Business Document Conversion Functionality in Java Applications for 50+ Document Formats. You can easily use GroupDocs.Conversion for Java directly from a Maven based project by adding following configurations to the pom.xml.  GroupDocs.Conversion for Java helps developers build Java based applications with file conversion functionality for more than 50 file formats. It supports business document conversion among documents, spreadsheets, slides, raster images, CAD, PSD, PDF and other file formats. With its features such as, auto-detect file type, configure and place watermark, GroupDocs.Conversion for Java offers lot more than just basic conversion. Using GroupDocs.Conversion for Java API, you can read input document from a file path as well as a URL. While you can save the output document as a file or sent the output directly into a stream. You can convert file format of a multitude of document types using GroupDocs.Conversion for Java API. Here you are presented with a few lines of code to perform a basic document conversion using Java. GroupDocs.Conversion for Java is a simple and to-the-point API that you can integrate into your Java-based applications pretty easily. However, to get you up and running in no time, we also provide easy to follow code samples and comprehensive API documentation.